IMAGINE YOURSELF IN THIS PARTY WEAR KURTI – Just try to feel this stylish kurtis made from high quality Rayon 14 Kg fabric. This kurti will feel very soft against your skin. 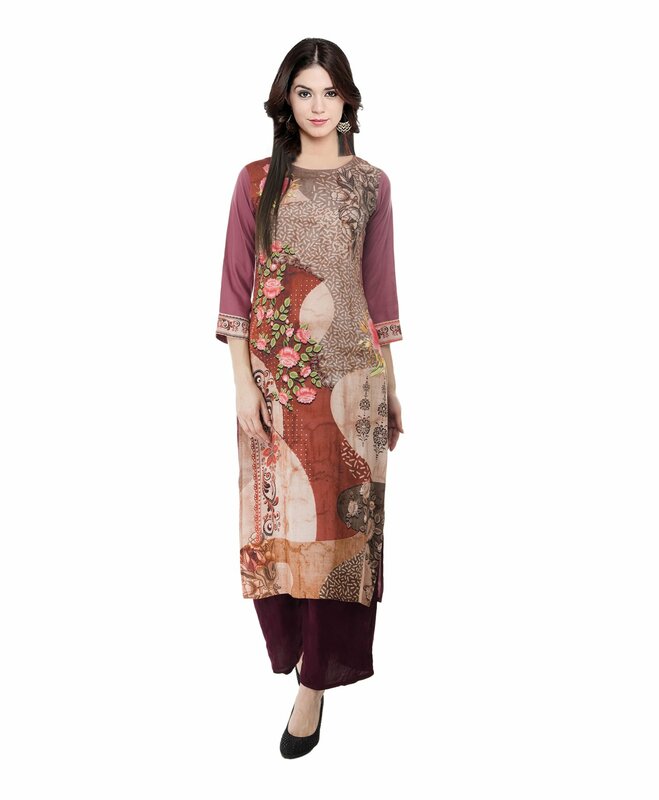 Stylish 3/4 sleeve and Print are one of the main feature of this kurti. These two things makes this kurti stylish. We have only one goal with all of our kurtis and that is to keep you up to date with latest style and fashion. PREMIUM QUALITY FABRIC – Style and latest fashion is important to look for in party wear kurtis but if it also comes with Rayon fabric.